Unit: 747th Tank Battalion, HQ Co., Attached to 29th Infantry Div. In November 1910, Russell Calvin Sandt was born. Two years later, the Sandts would receive and early Christmas present with the birth of Luther Victor, who was born on December 20th. In December 1915, a daughter, Thelma Elaine was born in Camden, NJ. The family was living at 328 Warren Avenue in Camden. Tragically, Thelma died at only 2 months of age due to pneumonia. By 1920 the Sandts had moved back over to Philadelphia at 2526 North Bancroft Street. Delbert's younger brother, Walter Elmer was born in December 1923. Some time before 1928, the family had moved to 2502 43rd Street in Pennsauken, NJ. Luther had suffered for decades from Myocarditis (inflammation of heart muscle) and passed away on April 4, 1928 after complications from a week-long case of Atrial Fibrillation. He was a long time tooth mold engraver for the S.S. White Dental Company. This business is still in operation to this day. Agnes and her boys later moved to 819 Grant Street in Pennsauken. Severe depression set for young Luther during the weeks following his dad's funeral. On May 20th, the lifeless body of the 14 year-old boy was found hanging from the rafters in the attic of his mother’s house. The grief from losing his father ate away at his soul so badly that he took his own life. Del would later take a job at a roller skating rink in Camden. While working there, his eyes caught those of a cute girl who frequented the rink. Her name was Gladys Pearl Bradford of Mount Ephraim. Del was a shy guy and it took him a while to finally work up the nerve to ask her out on a date. The two were of the same age and quickly hit it off. The pair wore matching jackets, presumably from the skating rink. 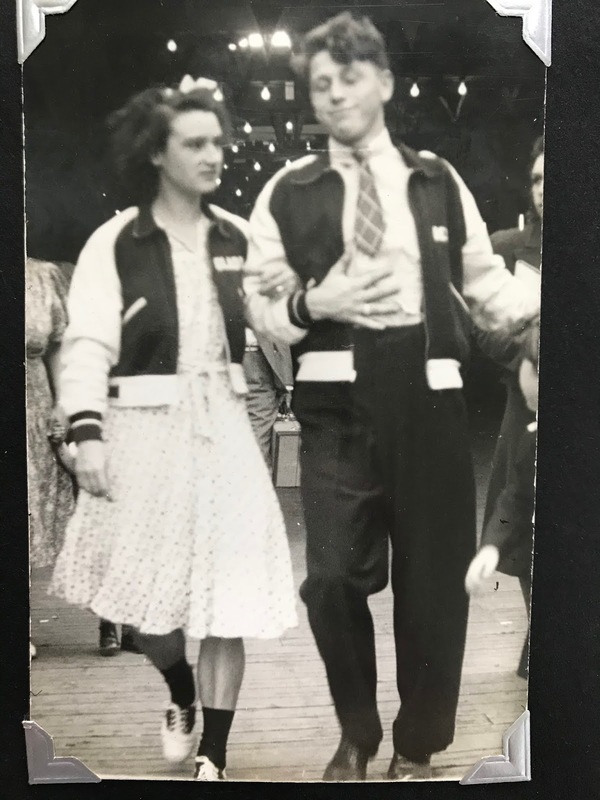 Hers with “Gladys” embroidered on the front and his with “Del.” The couple spent many summer weekends at the Bradford Family shore house in West Wildwood, NJ. On October 18, 1941, Delbert married Gladys Pearl Bradford in the Mt. Ephraim Baptist Church. The event was officiated by Reverend Charles A. Bechter. William Grasmick (husband of Gladys's sister, Thelma) of Camden and Mary (Bradford) Oxley of Collingswood were witnesses to the signing of the marriage certificate. Del had to have a consent to marriage of a minor paperwork signed by his mother and Gladys’s father as Gladys was considered a minor (under age of 21). Sandt’s occupation at this time was listed as being an operator of a flexible grinder. On July 30, 1942, the couple welcomed the birth of a daughter, Shirley. Just 2 days before Christmas of 1942, Del was selected by the Board for enlistment into the military. A brief ceremony was held in front of the municipal building at Broadway and Monmouth Street, where he and the rest of the group of selectees were sworn in. At the time, Del, Gladys and Shirley were living in an apartment at the corner of Kings Highway and North Oak Street in Mount Ephraim. Sandt was officially inducted into the U.S. Army at 9:15am on New Year’s Day, 1943 when he reported to the 1229th Reception Center at Fort Dix, NJ. 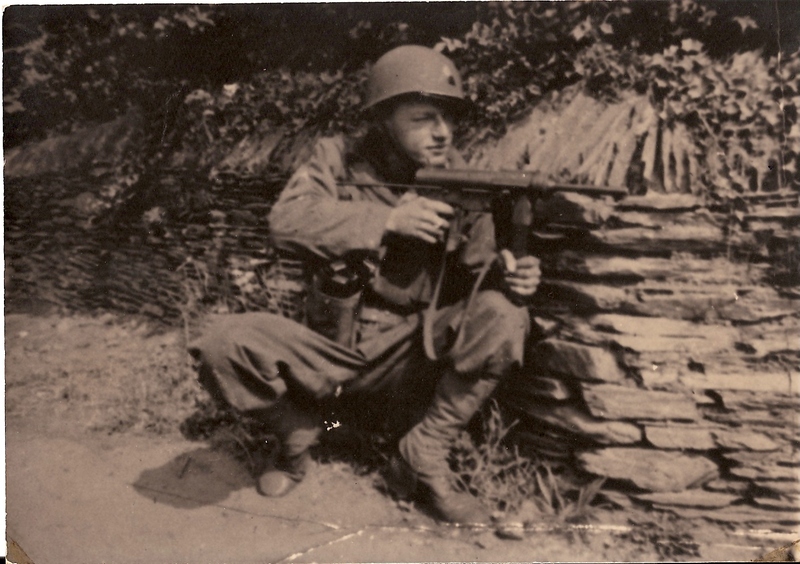 Here Del would begin his orientation, by being read the Articles of War, issued his uniform, shoes, and other necessary gear. He would then be assigned to a company and barrack to bunk in. Day 2, he and the rest of the recruits would be up bright and early at 5:45 A.M. for reveille formation. Afterwards they would return to clean up the barracks, shower, shave and report to the mess hall for breakfast at 7 A.M. By 7:30, they were called to detail and each man underwent a detailed physical examination and administered a variety of vaccination shots. Following the exam, the men returned to the mess hall for lunch. The afternoon was spent marching and formation drills. By 3:30 P.M., the Company was dismissed and returned to the barracks to organize their belongings and report back for dinner at 6:30 P.M. Unfortunate souls would catch the much dreaded “KP” (kitchen patrol) duty. From 7 to 11 P.M., recruits were free to unwind. The routine for day 3 was much like the previous day. Up at the crack of dawn, and fall into formation. Getting ready for the Army life. After breakfast, the recruits took an IQ test and an interview to determine what job classification each man would be assigned to. They would also sign up for the G.I. 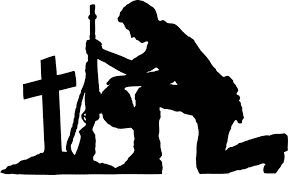 life insurance policy which provided $10,000 to a soldier’s beneficiary if the applicant was killed in action. Del boarded a train at Fort Dix with other recruits having little idea of their next destination. This was just another thing these men would learn about the Army. They trained at Camp Bowie and Camp Hood (now Ft. Hood) in Texas. While in basic training at Camp Hood, Del had the opportunity to send a recording of his voice on a record to a loved one. Pepsi Cola sponsored “A Recorded Message From Your Man in the Service.” They would bring a portable recording device to several training camps around the country. He sent his recorded message to Gladys. He spoke of how much he loved and missed her and that the Army was keeping him in peak condition. He asked her and the family to keep sending letters to him. By the end of September 1943, the battalion moved to Camp Polk (now Ft. Polk) in Louisiana for about 8 weeks of maneuvers. After completion of these maneuvers, the 747th returned to Texas at Camp Swift. The weekend before Christmas 1943, Del visited the USO in Austin where he sent another recording of his voice to his daughter Shirley. He asked how the family was and if her “big tooth” was coming in. 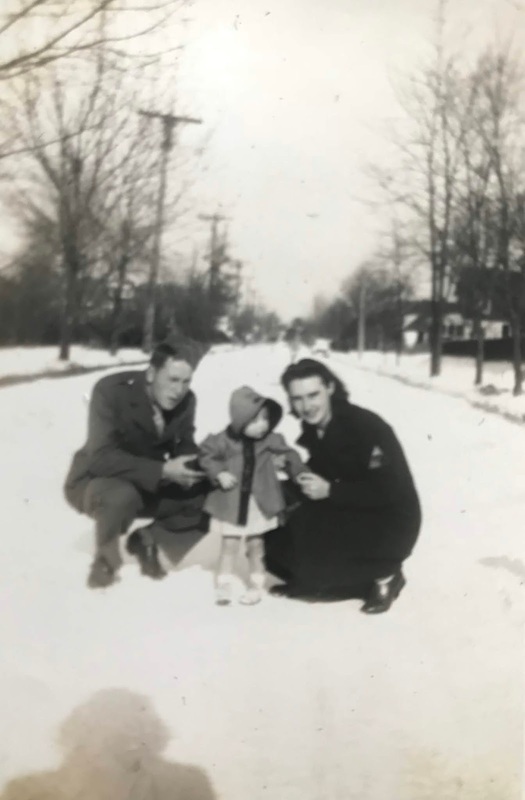 Del closed with wishing his daughter a "Merry Christmas and Happy New Year.” Gladys and Shirley would travel to Texas to visit Del in January 1944 when he was on furlough. Around the beginning of February 1944, the tanks were loaded onto railcars and transported to New York City in preparation for deployment overseas. The battalion arrived in New York by February 10th and were housed overnight at Camp Shanks. The next day, they loaded onto the USS Charles Carrol (APA-28) and shipped over to the United Kingdom. The Carrol arrived at Gourock, a port just west of Glasgow, Scotland on February 23rd. The crews disembarked and boarded a train bound for England. By February 26th, the battalion arrived and settled in at the Palmer Estate in Fairford. The enlisted men slept on straw mattresses in Quonset Huts that were set up in the park, while the officers were quartered in the more comfortable manor house. The men would go on long marches through the English countryside. On March 8th, Del wrote a letter to Gladys speaking about endless days of hiking and how his feet were sore. When the men weren’t training, they passed the time playing poker and spending their passes by traveling to London and other nearby areas to sample the fish n’ chips and of course, the local pubs. On April 5th, the battalion moved to an artillery range at Okehampton, where tank crews spent 2 weeks on maneuvers and live fire training. They then headed to the H.M.S. Raleigh Training facility in Torpoint. Tank crews were instructed to make their tanks waterproof. This process involved connecting 2 tall ducts that rose above the turret. The forward duct extended from the air intake for the engine and crew compartment while the rear duct was used to vent exhaust. A waterproofing material was then applied onto the tank and then tested for leaks by driving into a deep pit filled with water. This equipment was called deep wading gear. It allowed tanks to drive partially or sometimes fully submerged instead of landing straight onto the beach. Once ashore, the intake duct had to be removed so the turret could fully turn 360 degrees. Del wrote to Gladys on May 17th letter to Gladys. He was not able to speak of much because of military censorship. It had been rainy for the past few days but the sun finally came out. He had just washed his coveralls and hung them on a tree to dry out. No doubt the rainy days produced endless mud for the tankers to churn through during their training. He hears a familiar song, “When My Blue Moon Turns to Gold." Each tank crew was ordered to give a name to their tank to use as a quick field identification. The first letter in the name was required to be the same as the company, which for the Surowiec crew was to use “H” for Headquarters Company. They agreed to use the name “Hellzapoppin'” and stenciled this name on both sides of the tank turret. This was the name of a Broadway play performing in New York at the time. On June 2nd 1944, Sandt turned 22. There was no celebration however, as the crew spent the day preparing equipment and loading their tank and onto a British LCT (Landing Craft-Tank). Four tanks total were put on board the craft with one on each corner, making it ride dangerously low in the water. Surowiec said, "It was so low we could stand along the inside of the barge and touch the water. I was concerned we might sink with all that weight." The tank crews then sat and awaited the cross-channel trip out in the bay until June 4th, when they were moved into the English Channel. The seas were too rough for the operation to commence and the ships were ordered to return to the bay. In the early morning of June 6th, the LCT moved back out into the English Channel and sailed towards Dover. Once there, the invasion fleet came together and headed for France. HQ Company of the 747th Tank Battalion was held in reserve for 3 days waiting just off shore of the Normandy beaches on D-Day. Their designated landing area on "Omaha Beach" was so congested with broken and burning equipment and strewn with the bodies of those who never made it off the beach making it impossible for their tanks to disembark. For now, Del and his crew mates would have to watch from afar for now. Hellzapoppin’ was notified by a passing navy cruiser on June 9th to go ashore at to support the 29th Infantry Division. After navigating precariously through a cleared portion of the heavily mined beachhead, the crew had orders to take a technician to the French village of Isigny to repair a radio and then stay there until needed. They dropped off their passenger and spent the rest of the day looking for and taking out suspected German positions with machine-gun fire. There was said to be plenty of German sniper activity there, but the city was taken in coordination with the 29th Infantry. 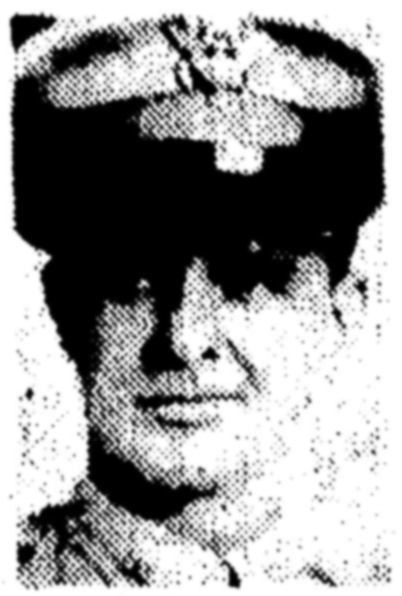 2nd Lt. Louis E. Linsley Jr. The following day, they picked up a reconnaissance officer from Battery A of the 111th Field Artillery Battalion named 2nd Lieutenant Louis E. Linsley Jr. Their mission was to take the Lieutenant to forward observation points along the front were he could direct artillery fire. Linsley’s battalion lost every artillery piece they had while coming ashore on D-Day. Each howitzer was loaded onto a DUKW (duck boat) and consequently either sunk due to high seas or enemy fire while heading to the landing zone. Having no field pieces to operate, he and his battalion took up arms and joined the infantry until replacement guns could be procured by June 11-12. Del maneuvered the tank through several orchards so Lieutenant Linsley and Corporal Surowiec could scout enemy positions and radio coordinates back to awaiting artillery batteries. 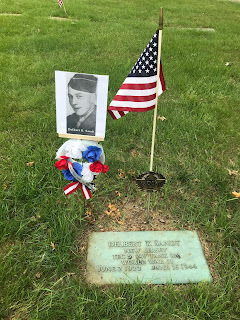 Surowiec said, "Lieutenant Lindsey called for an artillery strike over the tank radio and within a minute or two we could hear the shells crackling overhead. We then moved to another position and repeated the drill.” The battalion would stay here until the 16th. 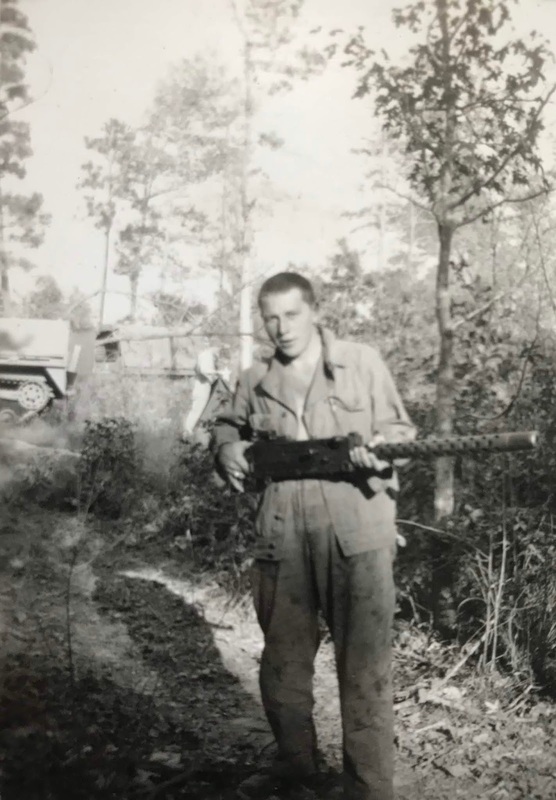 Despite a severe injury to his left leg and burns all over his body, Corporal Surowiec mustered enough strength to crawl out and slide down the front of the burning tank on his belly. PFC Zanas had also exited via an escape hatch and assisted Surowiec, pulling him away from the tank and propping him against a nearby tree. Zanas then went to go find help for his commander. Lt. Linsley, Private Switka and Corporal Sandt sadly did not survive this attack. Hellzapoppin' was found 3 hours later by advancing American G.I’s and Surowiec was promptly evacuated back to the beachhead for medical treatment. His leg was so badly injured that medics had to amputate it. Linsley and Switka’s remains were never officially identified as they were burned beyond recognition but their possible remains were found and buried at a cemetery in Marigny, France. They are listed on the Tablets of the Missing at Normandy American Cemetery. Del’s remains were removed from the burnt tank and originally buried near Covains. He was later moved to the U.S. Military Cemetery in La Cambe, France. After the war, the military began moving all the U.S military servicemen out of this cemetery and the option was made to either return them to the United States or the Normandy American Cemetery in Colleville-sur-Mer. 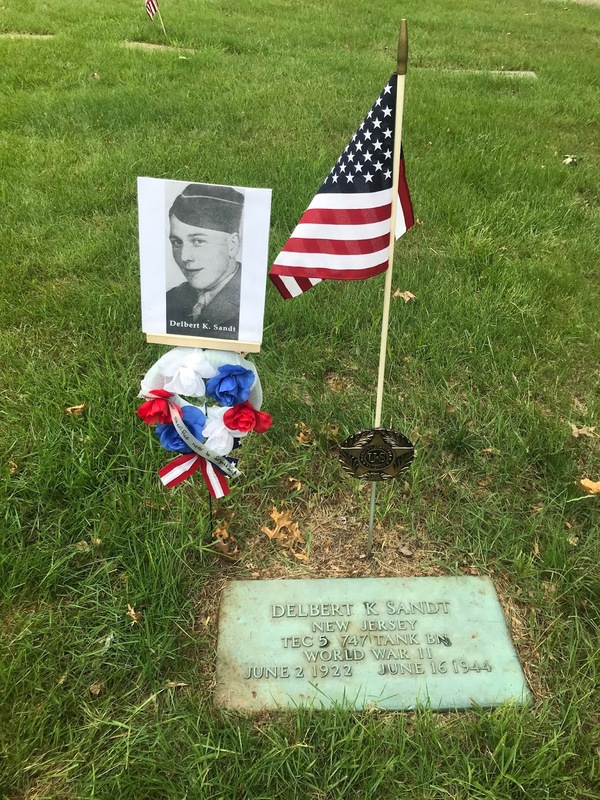 Sandt’s remains were returned home in the spring of 1948 and laid to rest at Locustwood Memorial Park in Cherry Hill, NJ. He was survived by his wife Gladys, daughter Shirley, mother Agnes, and 2 brothers, Russell & Walter, who was a WWII veteran serving with the Army in the Pacific Theatre. Delbert was posthumously awarded the Purple Heart, and Croix de Guerre with Palm from French President Bidault. 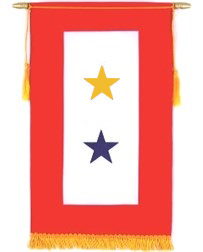 It was awarded to the 29th Division and every attached unit from heroic actions on D-Day. If you wish to read Mr. Surowiec’s story, please visit: http://www.billcopeland.net/Hellzapoppin.html.